Designed for long-range wireless video applications under Part 15 of the FCC Regulations, the VR900-3 provides excellent B/W and color video quality. The channels are spaced 8 MHz apart to allow multiple channel operation in a common area. Use with VT900-3 transmitter. Receiver includes ceramic front-end filters, IF SAW filters for excellent selectivity and low noise front end. Channel selection is screwdiver adjustable from the front panel. For audio/video applications, see model AVR900-3. For longer range, see Applied Wireless FP and Y series directional antennas. *Unobstructed line of sight outdoor range is typically 750 ft, when used with included omni-directional antenna and VT9003A transmitter. Longer range can be achieved with a directional receiver antenna such as a flat panel or Yagi. 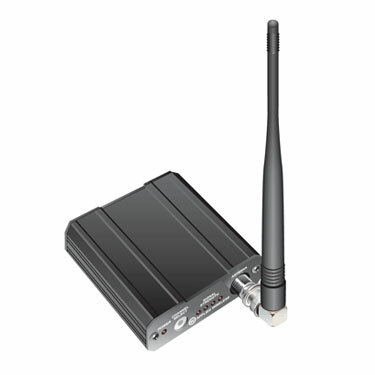 Higher power transmitter model VT900-3B is available only for military or law enforcement applications.